Microsoft's new operating system Windows 8 is designed for tablets and computers. Although its use at first sight it might seem a bit confusing, you will get use to it. The start screen is your baseThe initial screen is the first thing you see when booting Windows 8 computer. This horizontal mesh pad is actually a new desktop. This is your base. Although there is still an old desktop, so it will get by clicking on the icon of the new Start screen.Home screen stores all your applications in so-called "live tiles." 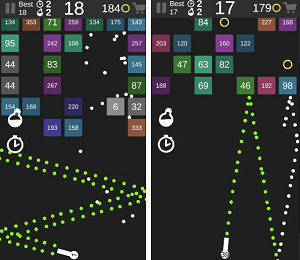 Tiles show you what exactly happens within the application. For example the tile app for the weather shows thetemperature of your location, if you press it, it will open in full screen. 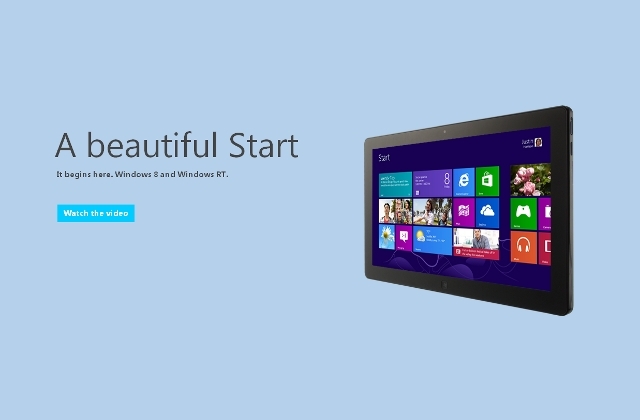 Windows Charms: Drag the right sideThe initial screen is just one of your best friends when it comes to Windows 8. Very quickly you will get to know the Charms tabs. Once you launch the application it will occupy the entire screen, and there will be no taskbar that will switch you to another menu or program.Instead, you can drag your finger from the right edge of the screen to activate the menu Charms - set of shortcuts, including Windows button that will take you back to the home screen. 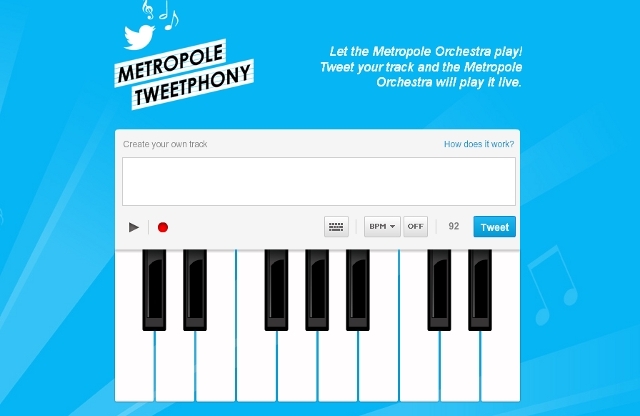 This tab can be called from any screen or app. If you use the mouse to rotate the cursor in the upper right corner. Get applications from Microsoft StoreWindows 8 is mainly based on the application and must be wondering where you can obtain them?Microsoft Store is already installed on all Windows 8 PCs and is among the applications on the home screen. When you download an application, it will automatically appear on the start screen. Organizing home screenWhen you add an application to the home page you can very easily organize them. It is enough with a light touch to move them wherever you want. It is possible to modify the size of the tiles and arrange them according to various categories. Application Control: Drag your finger around the edgesMost of the time you will spend on the applications, and you do not need that every time you go to the home screen to open a new one. By moving your finger across the left side of the screen you will open the applications already active. So you can select the one you want to see on the screen at one time. When you're in an application, with moving of the finger over the top or bottom you can activate the menus. Working with multiple applications at the same timeYou do not have to choose which applications will be active all the time. As you cross over the left edge of the application, you can keep it and lock it immediately to the other applications. It is also possible to adjust their size to one-quarter of the screen, while the remaining space will occupy the second application. This way you can at the same time hold an active valid email client and a specific document. Closing applicationsWhen the application takes up the whole screen just hit its top and take it down on the screen and this will close it. It is necessary to use a stronger touch so Windows would not think that you try to access a menu. If you use Windows 8 on a desktop computer and it is a desktop application, it is enough to click on the red X.
Angles, mouse and keyboardWindows 8 is designed for use on computers and tablets with touch-sensitive screens, and computers with a mouse and keyboard. Although most of this tips are focused on the movements of the fingers, the mouse can also activated the menus with gentle circling on the edges. 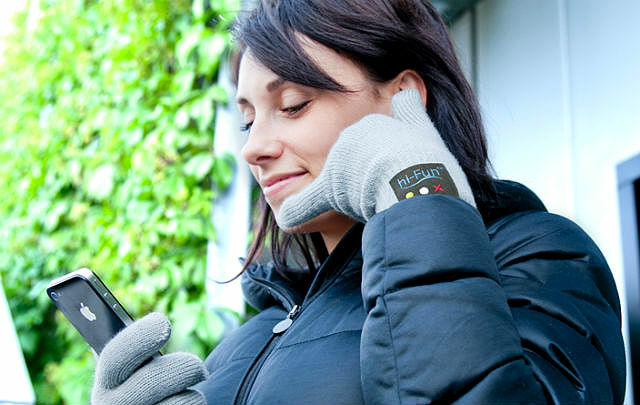 This innovative winter gloves "hi-Call" have a built-in speaker and microphone and a button that finally gives you the ability to say "Talk to the hand." Bluetooth "chatting" glove designed by the Italian company Hi-Fun, which we know for the unique design of the beach towel with speakers - "Hi-sun." Gloves have an operating range of 12 meters and a battery that lasts 20 hours of talk time and can be cleaned. They are made of materials that react to touchscreen phones, so removing gloves for saying hi isn't required. 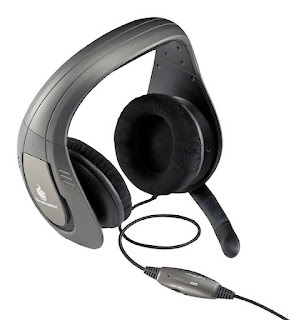 They are sold in 2 colors (black and grey) for men and women and cost €49.99. 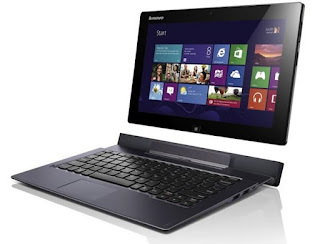 Lenovo is the latest manufacturer to present its Windows 8 devices. Like Microsoft Surface, but also like a number of other devices, Lenovo concentrated on hybrid tablets. The concept of Yoga 11 and Yoga 13 is simple, laptop whose keyboard you can turn in 360 degrees. With this the notebook turns into a tablet that uses the keyboard section as support for the tablet. Yoga 11 and Yoga 13 are working on Nvidia Tegra 3 and Intel i5 or i7 respectively. They have a resolution of 1366 x 768 and 1600 x 900, with 2 to 8 GB of RAM and up to 256 GB of space. Ofcourse, both have WiFi and Bluetooth connectivity, and the camera has support for 720p video. It is interesting to note that Yoga 11 is the only device that will not be a "pure" tablet, and will work with Windows RT OS. 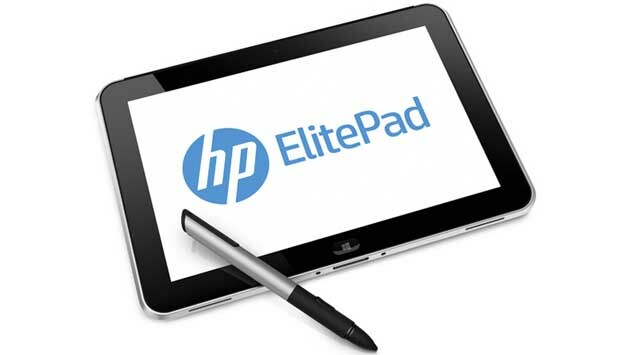 Prices of these hybrid tablets will be $800 and $1,100. Idea Tab Lynx in appearance is closer to hybrid devices that we have become accustomed to, with a tablet which you can detach from the dock which is located on the keyboard. The screen resolution of 1366 x 768 seems too small, but this resolution is recommended by Microsoft as an ideal for the operating system. Clover Trail (which we presented yesterday) is the processor who is selected for this tablet, and despite the fact that this processor allows a thickness of 8.5 mm, Idea Tab Lynx is 9 mm thick. Most of the other specs are similar, or at least comparable, with Yoga 11. The tablet will cost $600, but unfortunately for the dock keyboard you'll have to additionally pay $150, although the dock continues the work of the tablet for 16 hours. The last presented device is ThinkPad Twist and according to its hardware it is one of the most impressive hybrid Windows 8 tablets that we've presented so far. The 12.5-inch screen with 1366 x 768 resolution is protected by Gorilla Glass. You can choose from Intel i3, i5 or i7 and the device comes with integrated HD4000 graphics card. The tablet has 8 GB RAM, 2 USB 3.0 ports, Wi-Fi and Bluetooth connectivity. ThinkPad Twist will costs $850, but will be more expensive if you choose a 128GB SSD. There is no data on the date of launch for this Windows 8 devices by Lenovo, but is expected the tablets to come out at the same time as Windows 8. Logitech unveiled the company's latest addition to its line of high-performance products for playing games, the Logitech G710 + Mechanical Gaming Keyboard. Designed to help you concentrate on the game, this keyboard has been tested and tuned to deliver what fans want in games: minimal interference, fast response and complete control. "Logitech G710 + Mechanical Gaming Keyboard is designed to meet the specific needs of gaming enthusiasts," said Mark Staret, senior manager for global products at Logitech. "This keyboard was tested by professional players, partners, manufacturers and ordinary players such as myself, in order to get a mechanical keyboard for gaming that exceeds expectations." Mechanical Buttons of the keyboard react with maximum speed to the pressure of 45g from a distance of 4mm, and they are optimized for fast input commands. In addition, under each of buttons there is a embedded ring that greatly reduces the distracting noise when using the keyboard, without any effect on the reaction rate. Keyboard has undergone rigorous testing to ensure durability, so that the life cycle of it is at least 50 billion clicks of the buttons. The entire keyboard has a white backlight LED lighting with four levels of light intensity, which can be turned off. For better visibility of the buttons WASD and the arrow buttons, their lighting can be adjusted independently of the other parts of the keyboard. Thanks to Logitech's improved software for games, G-buttons on the keyboard can be adjusted for complex macros and Lua programming language for the game - when playing or before that - with up to 18 individual functions per game. In addition, each of the 110 buttons can be used together with all other and Buttons 26 may be pressed at the same time, in order of performing complex controls with perfect precision. Logitech G710 + Mechanical Gaming Keyboard is compatible with Windows 7 and Windows Vista and is expected to be compatible with Windows 8 also. 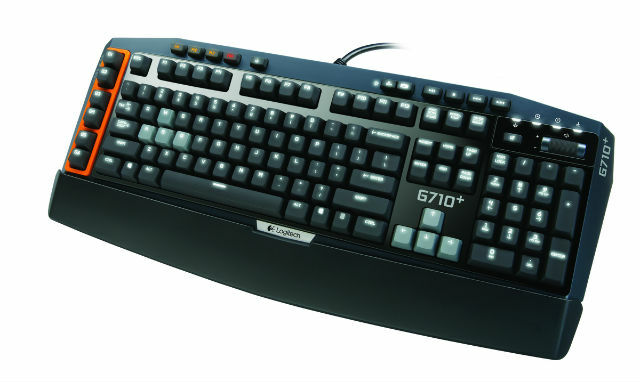 It is expected Logitech G710 + Mechanical Gaming Keyboard to be available in the U.S. and Europe in early November. 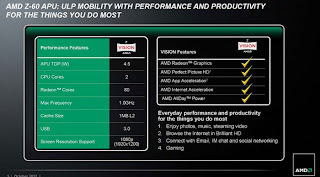 Windows 8 fever has also hit the manufacturer of processors, AMD. The company announced that it will enter the market for Windows 8 tablets and hybrid computers with the Z-60 Hondo processor. The new processor will be optimized to supply more power to the tablet, but with reduced spending and more resilient battery, which is one of the most important features of the tablet. Hondo is a dual-core processor with operating frequency of 1GHz and requires only 4,5 W for work. This processor comes with integrated graphics card, Radeon HD 6250, and there should be no major problems with DirectX 11. 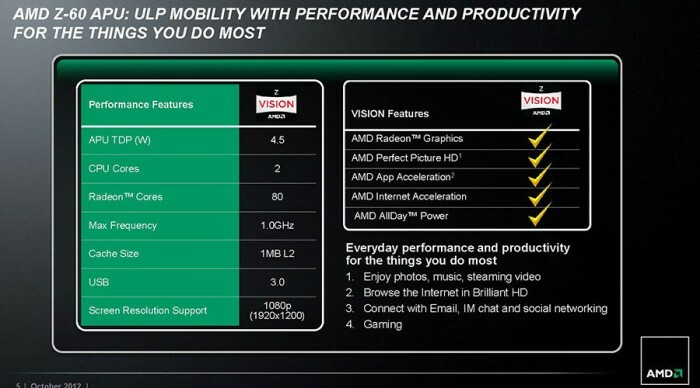 According to AMD, new Z-60 Hondo will have better graphics performance than the competition. The supported resolution will be maximum 1920 x 1200, and devices with Z-60 Hondo should allow playing video games at a decent resolution. AMD says that these tablets will be able to play Modern Warfare 2, but with reduced resolution. According to the announcement, the CPU will be able to start Windows for 25 seconds and switch from working condition to "sleep" for 2 seconds. The biggest competitor of Z-60 Hondo will be Intel's Clover Trail. Similar to Z-60, the Clover Trail also will allow 10 hour work in tablet mode. The biggest advantage of Clover Trail is its size. 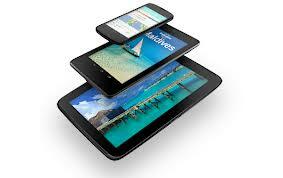 It can fit in tablets that are 8,5 mm thick, while the Z-60 allows a minimum thickness of 10-11 mm. The greatest advantage of the Z-60 is the graphics. It is announced that it will be 5-6 times more powerful than the Cedar Trail. Hondo expected to be found in tablets at the end of the year. Z-60 will be cheaper than Clover Trail, so tablets and hybrid computers that will be built with this processor are supposed to be cheaper. When you need an application for a certain task in most of the cases you search on Google. But Google search can sometimes take you to strange and unwanted places that will only take your time. 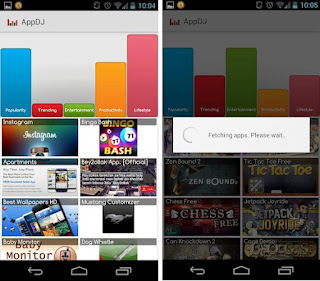 Instead, you can use AppDj which is an application that will show you applications from 5 categories according to your interests: Popularity, Trending, Entertainment, Productivity and Lifestyle. Application is finely arranged, in the upper part of the screen there is a graph with all 5 categories and the presence of applications in each. Maybe AppDJ is not best if you search a specific category, because there are so many, and here the App offer only 5. So you will have to search a little more to find what you want. For example, security tools are placed in the category of Productivity, multimedia tools are located in the Entertainment and customization tools in Lifestyle. Also, you can easily set АppDj to give you information only for certain categories or a certain category to be a priority. For example, you can choose to receive recommendations for all popular applications of the category "Entertainment", or simply you want to receive applications only from "Productivity". If you want to follow only popular applications from a particular category, increase the popular bar to the max, and trendy bar to a minimum, and set the remaining three bars at the same level. Once you make the change, the application will automatically update its list of recommendations. The only disadvantage of the application is that there is no possibility to search only for free, or only for paid applications, and there is no information about whether is free or not by the name of the application. So, the user must click on the application to see all the other specifications like price, photos and description for it. AppDJ is freely available on Google Play market. In the last month a lot of Windows 8 tablets were introduced. We wrote about the HP Windows 8 tablet. 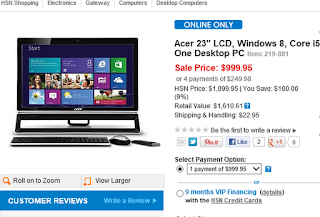 Although the official date of Windows 8 release is October 26, the shopping giant HSN now offers 5 Windows 8 PCs on sale, from which 4 are laptops and only one is desktop. According to HSN, all configurations that are going to be sold will be delivered instantly with a 64-bit version of Windows 8. Sales of Windows 8 configurations despite the "ban" of Microsoft probably will not go unpunished, but will have to wait to see the reaction of Microsoft. Configurations of laptop computers are standard, Intel i3 and i5 Ivy Bridge processors with 4 to 8 GB DDR 3 and hard drives from 500GB to 1 TB. For now, there's only one desktop configuration that does not seem too impressive. However on two of the laptops the new track pad was added, this will capture better user experience with the new operating system. 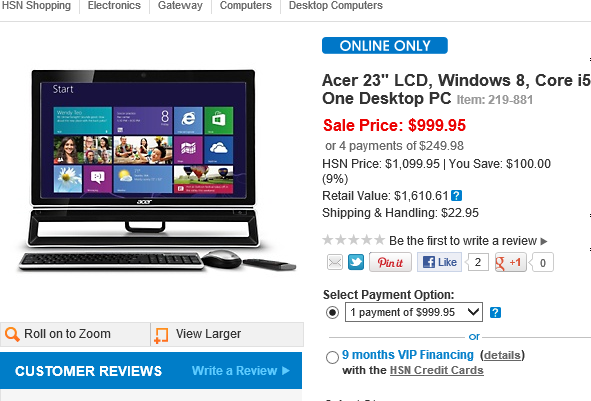 Prices of laptops are between $700 and $1000, and the desktop will cost $1200. 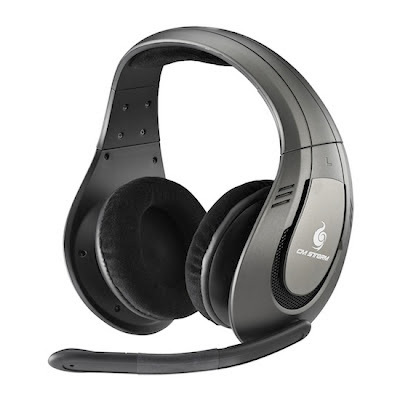 All configurations are produced by Acer and Gateway, which is also an Acer branch. Windows 8 comes with a pre-instaled software like Office 2010, Nero 12 Essentials, Adobe Reader, Norton Security Trial. Unlike HSN, Amazon still is not selling any Windows 8 configuration, and ZDnet reports that Walmart also has no configuration data for Windows 8. Edit: Few hours ago, after only one day, HSN removed all the products from its web store after the reaction of Microsoft. All five products are still listed on HSN's website, but if you attempt to see the specs or buy one you'll get this message "We're sorry, this product has sold out and is no longer available." 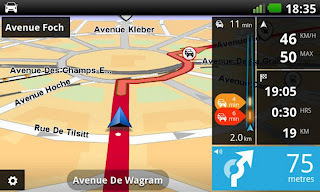 TomTom navigation application is now available to owners of Android phones and can be downloaded from Google Play. The application contains a wide range of options, including sending traffic data in real time and Offline support. However, the application is not compatible with several, currently most popular devices, like the Samsung Galaxy S3 and Google Nexus 7. "TomTom has had a history of making great navigation apps. Our application for the iPhone has received excellent reviews by user and regularly won numerous awards and we are pleased that it is now available to to users of Android devices," said the Executive Director of the company Korin Vigra. Praised by TechCrunch, CultOfMac and supported by KickStarter community through which by now the start up raised around $17,500, CompleteDock is on track to become a real success. CompleteDock is a dock for mobile devices such as iPad, iPhone, Samsung Galaxy Note 10.1 and a bunch of other devices. Currently the project has attracted over $17,500 donations from users of KickStarter, and it seems that it will collect all the $40,000 that are set as a goal and are needed for mass production. "If we collect the requested funds, we will go to the implementation and delivery. Then we'll employ marketing and business team who will to do the business. The version 2.0. is already in my head,"said Gligor Dacevski the innovator of this project. The start up originates from Macedonia. The idea for CompleteDock comes from inadequate solution offered by Apple, which although is called Universal Dock, only works with the iPad. Complete Dock immediately attracted the attention of world-famous IT blogs. TechCrunch in a text entitled "Finally, A Dock That Doesn’t Blink When Apple Changes iPhone Connectors Or Device Design" commented that CompleteDock is a useful project that unlike other IT products on KickStarter is built to last. 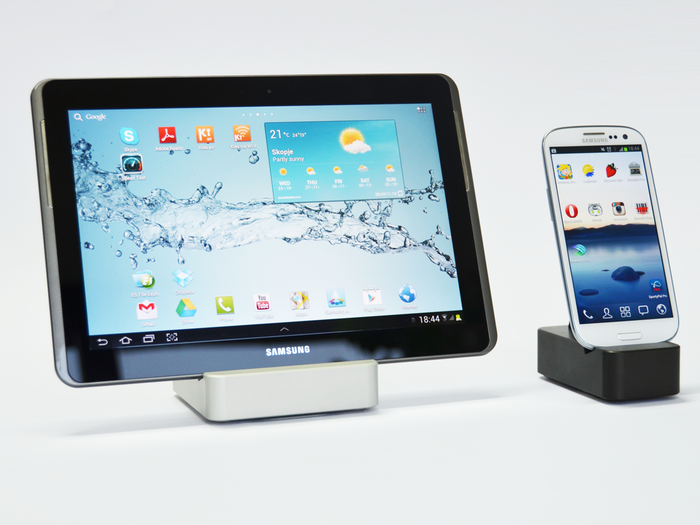 TechCrunch says that the best part is that CompleteDock is already a real product. The popular blog about Apple products "CultOfMac" called CompleteDock more universal foundation of the Apple Universal Dock. CompleteDock is manufactured with Aluminum Alloy 6082 as the main material, processed by CNC machine, and if KickStarter project is successful, the plan is to invest in a new CNC machine for mass production, as additional support to the existing two who are waiting for the start of production. If you want to support the project and to "invest" in it, do it through KickStarter. 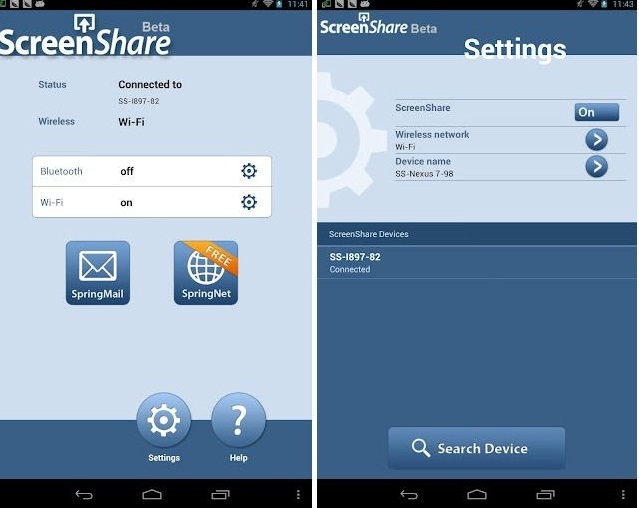 The purpose of ScreenShare is to use your smartphone screen with the tablet. It is a fairly new application that is still in beta stage. The app contains two parts - SpringNet and SpringMail, which allows to the user to read his email and browse Internet via tablet. To run the application, both devices must be connected via Bluetooth or WiFi. ScreenShare Software Development Kit (SDK) will be released at the end of the year, that will allow developers to adapt their applications in order to share user interfaces and content. Some applications that can benefit from ScreenShare are the apps for maps, GPS, interactive training, caller of phone numbers, writing emails, reading e-books etc. If you travel and don't have a constant WiFi connection, the best way to connect your smartphone and tablet is via Bluetooth. The application collects only the content that needs to show to the tablet, so the user saves battery and the phone doesn't need to be connected to a charger. Also, the phone can be in conservation mode, and applications will be running on tablets and so will save battery. Once you are done with the parallel session, the user can instantly restore all things on the phone. The app is available for free on Google Play Market. Taiwanese company HTC has unveiled its latest smartphone called One X +. HTC One ™ X + is successor of the award-winning HTC One ™ X smartphone, with unique HTC Sense ™ 4 + interface on Jelly Bean Android ™ operating system. HTC One ™ X + combines striking design, excellent camera and an authentic audio experience of the HTC One series, with improved performance, longer battery life and expanded internal capacity for data storage. 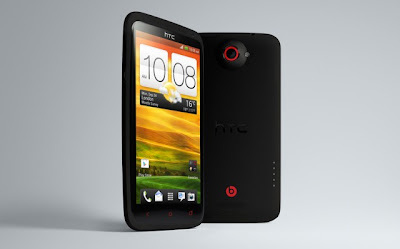 "We upgraded HTC One ™ X to a new level by introducing a new HTC One ™ X +," said Peter Chou, CEO of HTC. "Our customers will have the option of reviewing the content super fast, with even better camera, and fun experience with Beats Audio." With the astonishing quad core NVIDIA® Tegra® 3 AP37 processor and the 64GB of internal storage capacity, HTC One ™ X + LTE version is up to 67% faster than the HTC One ™ X-LTE, so HTC One ™ X + now is the highest-rated Android phone on the market. Designed to be lightning fast, HTC One ™ X + enables faster Internet browsing, fluent gaming experience, smoother graphics rendering, and quickly download files from the Internet. Besides the faster performance, HTC One ™ X + system provides longer use of the device due to its battery of 2100 mAh, with which the total time of calls, viewing of content on the Internet and enjoying your favorite music and video clips is increased by 50% (6 hours). The new device features HTC One ™ X + HTC Get Started, which is a new Internet service that takes users through the painless process of adjustment and customization via Internet browser on your desktop. Designed to enhance the experience Phone set, this feature ensures that users get the most out of their new phone at the start of using. 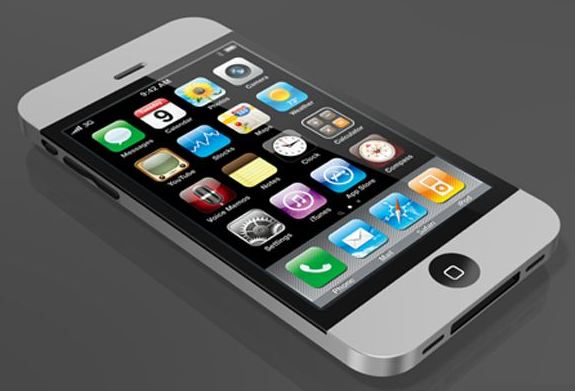 Pressing the button will copy the user's phone settings and applications that are entered on the Internet. Visit start.htc.com for additional details. 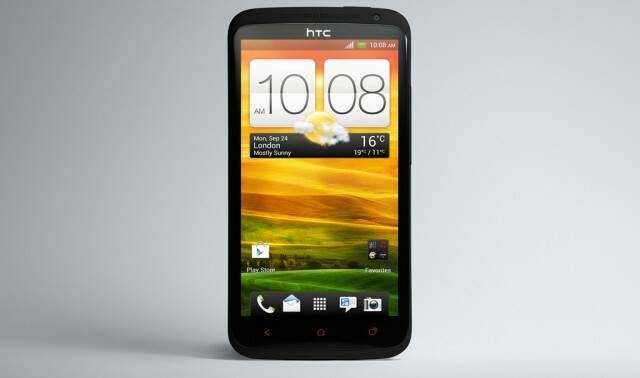 HTC One ™ X + will be available in Europe and North Asia, starting from October and in South Asia from November. For United States there will be a separate announcement regarding the availability of the HTC One ™ X +. We all know that the fiasco with the maps went viral. There were a lot of jokes, even Google played a little with Apple. Apple even publicly said sorry to the users about the maps and said they are working to fix them. But, these days another mistake from this company was discovered. This time it's a bug which uses traffic from 3G even when they are connected to Wi-Fi. After the internet buzz about this bug, and all the negative comments, Apple and Verizon have created a patch to fix the bug. Verizon has confirmed to CNN Money that damaged iPhone owners will not have to pay the overly used gigabytes. Meanwhile, the site 9to5Mac reported that a number of users from the AT&.T network also complained of excessive spending in the first few weeks of usage of the new iPhone 5. AT & T has not officially released a statement about this.